The Pick, Cook, Keep video series is produced by Georgia Public Broadcasting through the support of the Georgia Department of Agriculture. Pick, Cook, Keep is an extension of the “Georgia Grown” legacy series, vignettes promoting the breadth of Georgia’s locally grown produce. 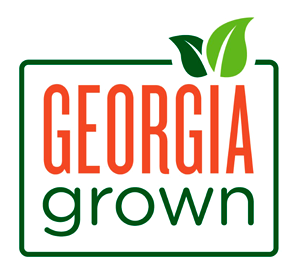 Georgia Grown highlights where each crop is grown, introduces audiences to individuals who take personal responsibility/pride for this produce, and teaches how to recognize Georgia Grown in markets and restaurants. As a continuation of this effort, Pick, Cook, Keep shows Georgians about the life cycle of Georgia Grown products from farm, to table, to preservation. Each vignette showcases a healthy, tasty, and easy-to-prepare native crop such as pecans, greens, wines, honey, blueberries, onions, melons, peaches, tomatoes, peppers, and apples. Learn about how you can preserve these nutritious and delicious commodities for future use and enjoyment. Focusing on the lifestyles of everyday Georgia families, Pick, Cook, Keep will air on GPB television and radio for you and your palate to enjoy the whole year through. Be sure to tune in your taste buds…Georgia Grown crops have never tasted so good! *This publication was supported by the Specialty Crop Block Grant Program at the U.S. Department of Agriculture through Grant Agreement Number 12-15-B-1455. Its contents are solely the responsibility of the authors and do not necessarily represent the official views of the USDA.